You can never have too many handbags, can you? That's a rhetorical question because of course you can have too many handbags, but for this post we're going to pretend that's not even an option. 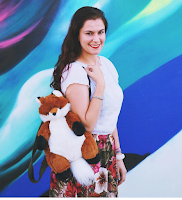 I'm partnering with Purse Obsession*, a wholesale handbags supplier, to show off some of the coolest bags that I absolutely need for autumn. * Disclaimer: This post, Cute & Affordable Purses for Fall, is sponsored by Purse Obsession. I'm a firm believer in personal style rather than solely following trends. Even though it's autumn & I should be loving neutrals, I kept eyeing pastel bags! I know I will totally rock some pastels in fall or any season for that matter. It's just a part of my soul. Fred & I plan to travel in November (more on that later) so, I've been looking for a bag that can safely hold my camera but still look like a purse. I definitely don't want an official camera bag that screams, "there's expensive equipment in here!!!!" I'd rather have a functional looking purse to house my camera & lens when on the go. Although I found myself attracted to the David Jones handbags, Purse Collection has western purses, messenger bags, wallets, wristlets, & pretty much anything under the sun. The eight bags on my list are faux leather, which is important to me since I don't wear leather, suede, etc. The glossy dark blue David Jones handbag or the textured grey handbag look exactly like what I'm looking for, & both of them are under $20. How's that even possible? 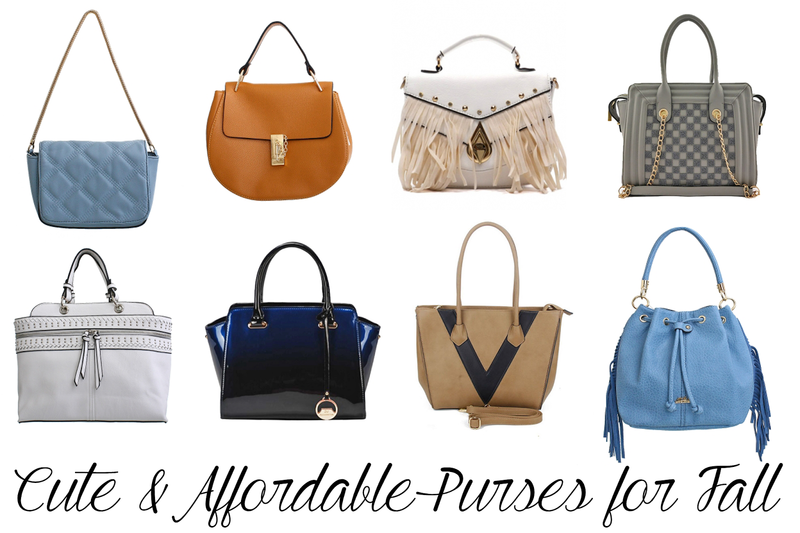 In fact, all of these purses are extremely affordable & super stylish. It's all about handbags wholesale, baby! The white David Jones bag is almost irresistible to me. Look at the little details. But the all star, the apple of my eye is the blue David Jones evening bag. I love the chain strap & quilted detail. Adorable. I'm pretty much loving everything! Cute picks, I love the last blue bag! I never have enough bags in my closet, I always need more and those you show us are very nice, great selection !!. Anything with some fringe and I'm all over it. Love these picks! I wish i could get all these bags... i dont understand the connection i have with bags. its never enough for me, lol.. gooosh, i love these pictures and the post. Being forever obsessed with gorgeous purses/handbags, I am so drooling over the ones you picked out, lovely. Bottom row, first one of the right is my fave <3 It's just perfect! ADorable bags!!! Love your choices! Such nice bags, makes me want to buy a new one!! These are so cute! I love the last one the most I think.. and agreed! I definitely would never want a bag that screams I have something expensive with me.. The third one on the first row is my favorite! adorable!! You selected some really cute bags. Thank you for sharing the links. I really love the white and the blue one with fringes. The glossy blue one is to die for! Girl these are all soooo good!! I need them all!